Explore London with these fair trade building blocks by Lanka Kade. 50 building blocks + bag. Made of natural rubber wood. 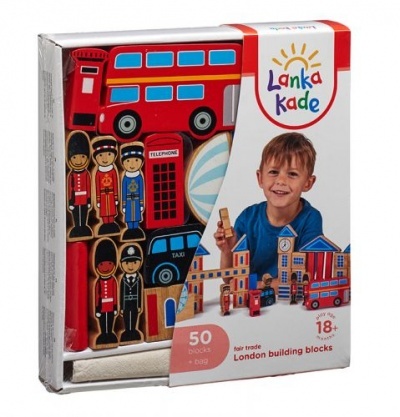 Explore London with these fair trade building blocks by Lanka Kade. 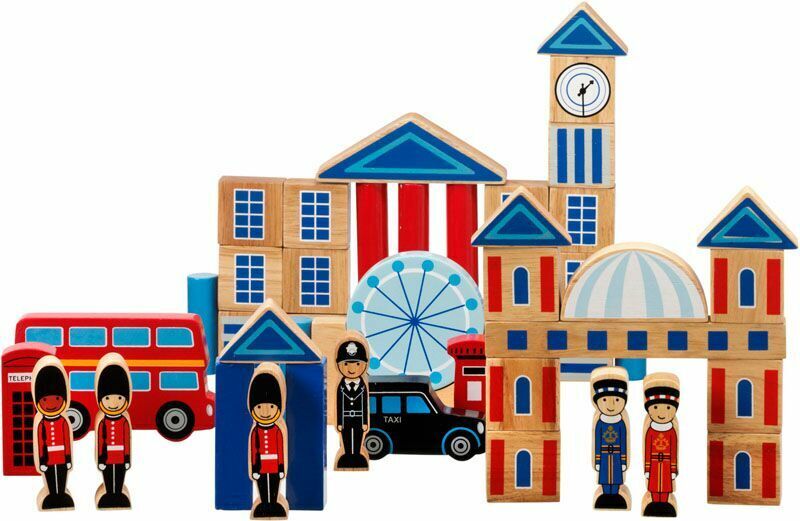 This beautiful handcrafted wooden building block toy contains many iconic London tourist sites including Buckingham Palace, London Tower Bridge, the London Eye and more. Children can jump in a black cab or take a tour on a traditional red London bus - all without leaving play time.